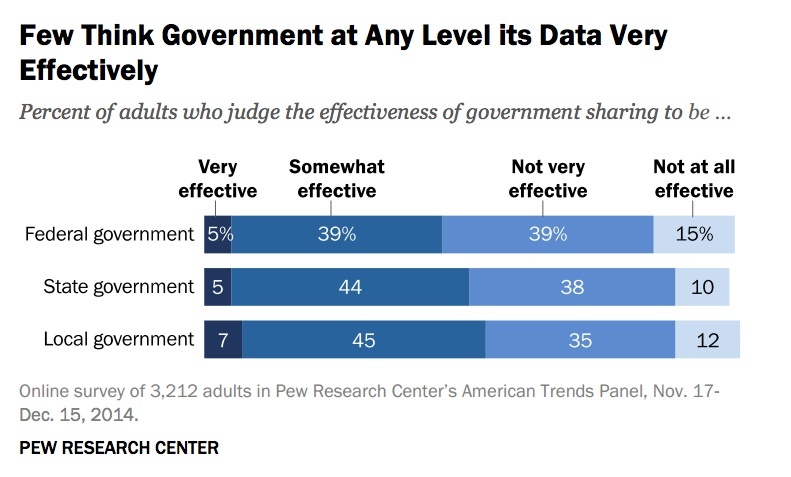 While majorities of the American public use applications and services that use government data, from GPS to weather to transit to health apps, relatively few are aware that data produced and released by government drives them. 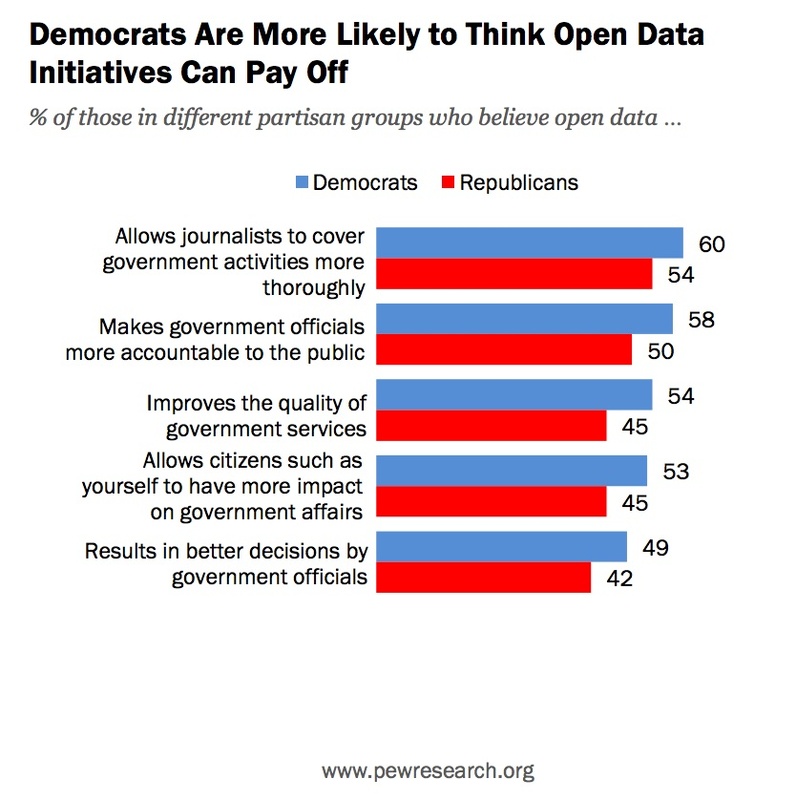 The public knowledge gap regarding this connection is one of the most important points that proponents, advocates, journalists and publishers who wish to see funding for open data initiatives be maintained or Freedom of Information Act reforms pass. Horrigan suggested thinking about this using a metaphor familiar to anyone who’s attended a middle school dance. 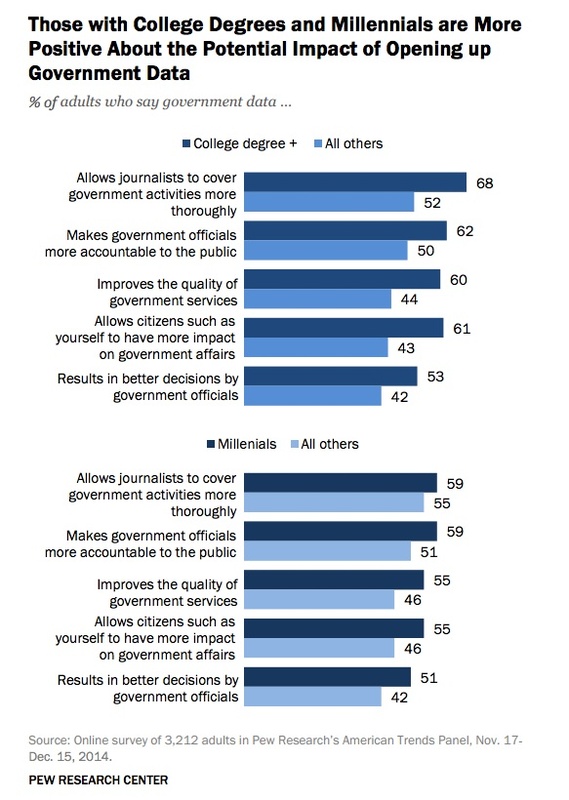 Following are 13 more key insights about the public’s views regarding the Internet, open data and government. For more, make sure to read the full report on open government data, which is full of useful discussion of its findings. 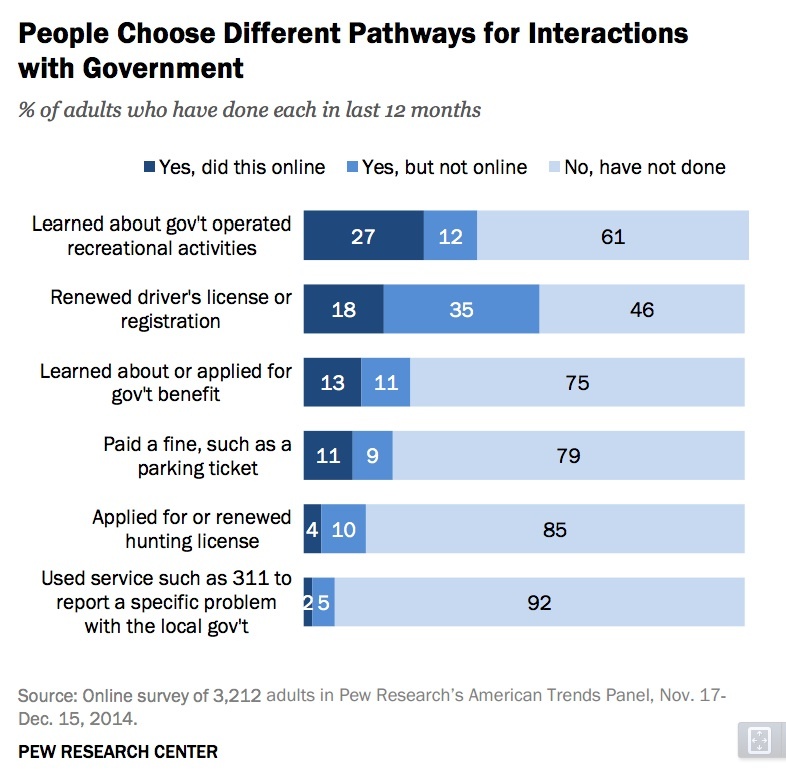 While Pew cautions that the questions posed in this survey are different from another conducted in 2010, the trend is clear: the way citizens communicate with government now includes the Internet, and the way government communicates with citizens increasingly includes digital channels. That use now includes getting information or data about federal, state and local government. This attitude is generally true across all income levels. 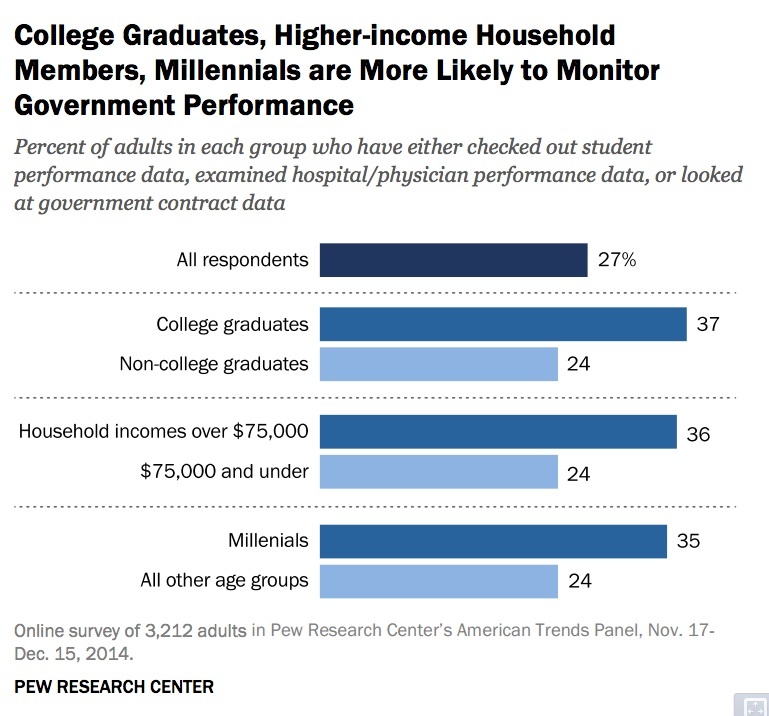 About a third of college grads, young people and wealthy Americans have checked out performance data or government contracting data, or about 50% more than other age groups, lower income or non-college grads. 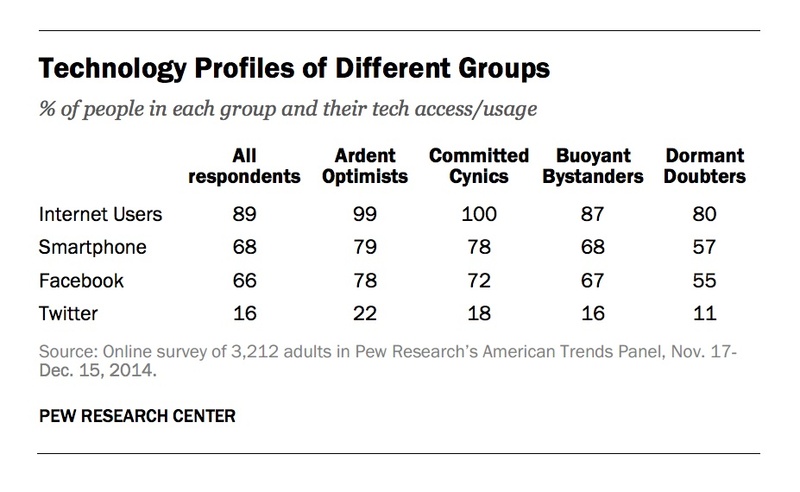 Pew grouped the 3,212 respondents into four quadrants, seen below, with a vertical axis ranging from optimism to skepticism and a horizontal axis that described use. Notably, more use of data doesn’t correlate to more belief in positive outcomes. 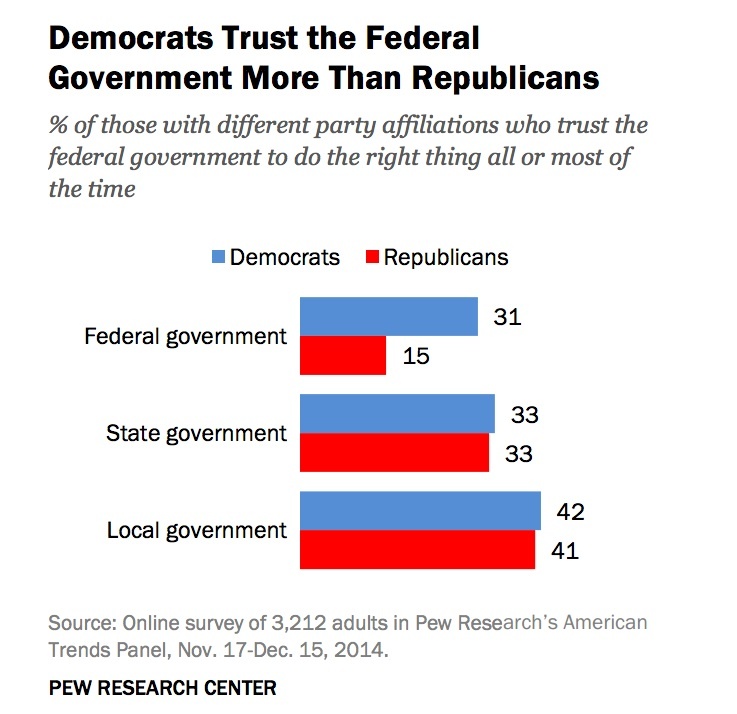 Put simply, Democrats trust the federal government more, and that relates to how people feel about open data released by that government. One challenge is that if President Barack Obama says “open data” again, he may further associate the release of government data with Democratic policies, despite bipartisan support for open government data in Congress. If a Republican is elected President in November 2016, however, this particular attitude may well shift. The unresolved question that we won’t know the answer to until well into 2017, if then, is whether today’s era of hyper-partisanship will change this historic pattern. 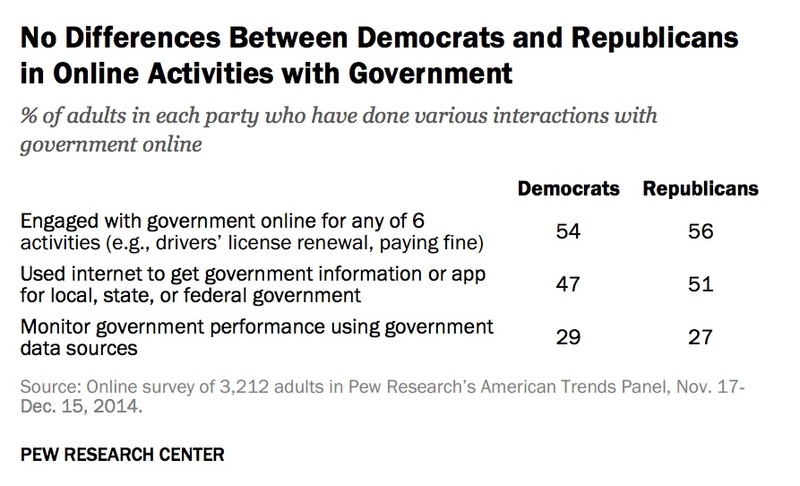 There’s bipartisan agreement on the need to use government data better in government. 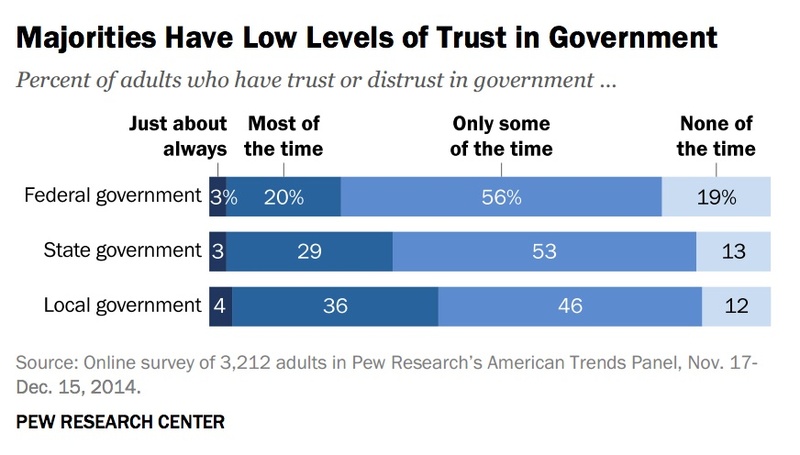 Democratss want to improve efficiency and effectiveness, Republicans want to do the same, but often in the context of demonstrating that programs or policies are ineffective and thereby shrink government. 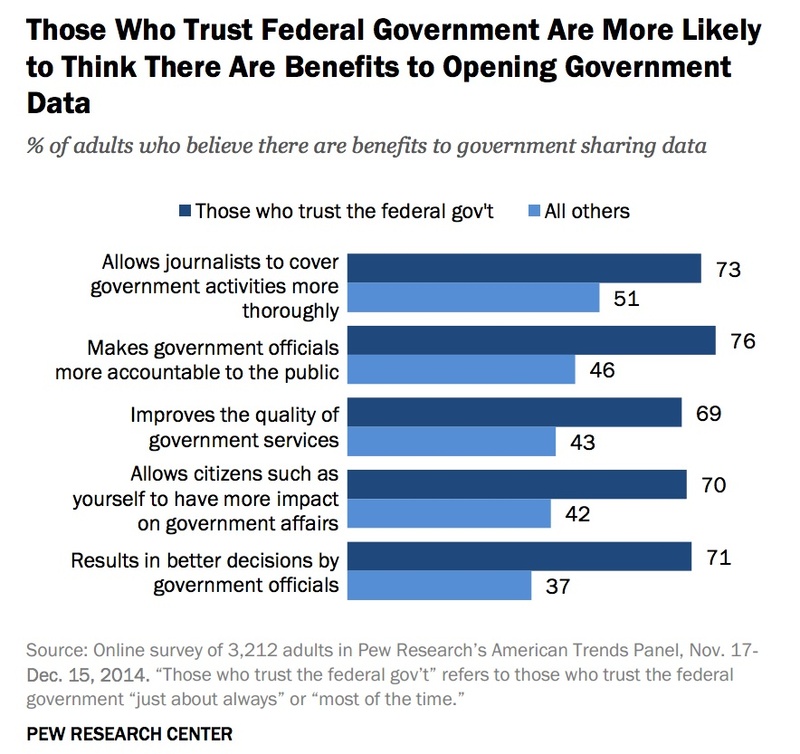 If the country can rise about partisan politics to innovate government, awareness of the utility of releases will grow, along with support for open data will grow. That opportunity is cause for hope. Today, the District of Columbia launched a new online service for Freedom of Information Act requests and Mayor Vincent Gray issued a transparency, open government and open data directive. DC city government has come under harsh criticism from the ACLU for its record on FOIA and transparency and has a spate of recent corruption scandals, albeit not one that appears to be worse than other major American cities. 1) Within 30 days from today, the DC chief technology officer (currently Rob Mancini) must create “a common Web portal” that “will serve as the source for District-wide and agency activities related to this Transparency and Open Data Directive.” Translation: OCTO must create a new website that aggregates information related to this directive. 2) OCTO will publish technical standards for open data by November 1, 2014. DC government could refer to the Sunlight Foundation’s Open Data Guidelines as a useful reference, or the canonical 8 principles of Open Government Data. 3) Within 120 days from today, the DC City Administrator and each deputy mayor must identify at least 3 new high-value datasets to publish to the DC Data Catalog that are either not currently available or not available in an exportable format. Translation: city agencies will report on how they’re doing complying with this mandate. Hopefully, the DC Office of Open Government will be an effective ombudsman on that progress, along with directly engaging on Freedom of Information Act disputes and processes, and will do more public engagement around open government or open data than @OCTONEWS has to date. Unfortunately, and not a little bit ironically, the directive was published online as a scanned-in PDF that is neither searchable nor accessible to the blind, itself embodying the way not to release text online in the 21st century. Below, I have summarized the main deliverables mandated in the directive and converted the images to plain text. Following the order is criticism from open government advocate, civic hacker, and DC resident Josh Tauberer. a. Background. The District of Columbia government (“District”) is committed to creating an unprecedented level of openness in government. Agency heads will work together and with the public to ensure public trust, and an open and effective government by establishing a system of transparency, public participation, collaboration, and accountability that increases the public’s confidence in their government. The goal of this directive is to provide a tool for prescribing and institutionalizing change within all departments and agencies. “Chief Data Officer” (“CDO”) means the Chief Technology Officer or a Chief Data Officer designated by the Chief Technology Officer. “Data” means statistical, or factual, quantitative, or qualitative information that are regularly maintained or created by or on behalf of a District agency, and controlled by such agency in structured formats, including statistical or factual information about image files and geographic information system data. “Dataset” means a named collection of related records, with the collection containing data organized or formatted in a specific or prescribed way, often in tabular form. “Open Government Coordinator” means agency personnel designated by an agency head, in coordination with the Office of the Chief Technology Officer (“OCTO”) or the CDO as appropriate, to ensure that the information and data required to be published online is published and updated as required by this Order. “Protected data” means (i) any dataset or portion thereof to which an agency may deny access pursuant to the District of Columbia Freedom of Information Act, effective March 25, 1977 (D.C. Law 1-96; D.C. Official Code § 2-531 et seq. )(“FOIA”), or any other law or rule or regulation; (ii) any dataset that contains a significant amount of data to which an agency may deny access pursuant to FOIA or any other law or rule or regulation promulgated thereunder, if the removal of such protected data from the dataset would impose an undue financial or administrative burden on the agency; or (iii) any data which, if disclosed on the District of Columbia Data Catalog, could raise privacy, confidentiality or security concerns or jeopardize or have the potential to jeopardize public health, safety or welfare. a. The requirements of this Order shall be applied to any District of Columbia department, office, administrative unit, commission, board, advisory committee or other division of the District government (“agency”), including the records of third party agency contractors that create or acquire information, records, or data on behalf of a District agency. b. Any agency that is not subject to the jurisdiction of the Mayor under the Freedom of Information Act or any other law is strongly encouraged to comply with the requirements of this Order. SECTION 2: Transparency and Open Government Policy. a. Publish Government Information Online. To increase accountability and transparency, promote informed public participation, and create economic development opportunities, each District agency shall expand access to information by making it proactively available online, and when practicable, in an open format that can be retrieved, downloaded, indexed, sorted, searched, and reused by commonly used Web search applications and commonly used software to facilitate access to and reuse of information. Examples of open format include HTML, XML, CSV, JSON, RDF or XHTML. The Freedom of Information Act creates a presumption in favor of openness and publication (to the extent permitted by law and subject to valid privacy, confidentiality, security, or other restrictions). A mechanism for the public to submit feedback on the agency’s Open Government Report or other agency actions. C. Conduct its work more openly and publish its information online, including a plan for how each board and commission subject to the Open Meetings Act will ensure that all of its meetings are, where practicable, webcast live on the Internet. H. A plan that provides a timetable for ensuring that all meetings of boardsand commissions that are subject to the Open Meetings Act are webcast live and archived on the Internet. D. Innovative methods, such as prizes and competitions, to obtain ideas from and to increase collaboration with those in the private sector, non-profit, and academic communities. SECTION 3: Open Data Policy. Each agency shall, in collaboration with the Chief Data Officer and OCTO, make available through the online District of Columbia Data Catalog all appropriate datasets, associated extensible metadata, and associated documented agency business processes under the agency’s control. Each agency, in collaboration with OCTO, shall determine the frequency for updates to a dataset, and the mechanism to be utilized. To the extent possible, datasets shall be updated through an automated process to limit the additional burden on agency resources. The publication of an agency’s datasets shall exclude protected data. Datasets under paragraph (4) shall be made available in accordance with technical standards published by OCTO not later than November 1, 2014 that ensure that data is published in a format that is machine readable, and fully accessible to the broadest range of users, for varying purposes. Datasets shall be made available to the public on an open license basis. An open license on a dataset signifies there are no restrictions on copying, publishing, further distributing, modifying or using the data for a non-commercial or commercial purpose. For the purposes of identifying datasets for inclusion on the District of Columbia Data Catalog, each agency shall consider whether the information embodied in the dataset is (i) reliable and accurate; (ii) frequently the subject of a written request for public records of the type that a public body is required to make available for inspection or copying under FOIA; (iii) increases agency accountability, efficiency, responsiveness or delivery of services; (iv) improves public knowledge of the agency and its operations; (v) furthers the mission of the agency; or (vi) creates economic opportunity. Within 120 days of the date of this Order, the City Administrator and each Deputy Mayor shall, collaborating with their cluster agencies, and OCTO, identify at least 3 new high-value datasets to publish to the Data Catalog, in accordance with OCTO’s open data standards. The identified high-value datasets will not be currently available, or not available in an exportable format. For the purposes of this section, “high-value dataset” includes agency outcome data, agency caseload data, data reported to the federal government outcome data, agency caseload data, data reported to the federal government by the agency, agency data reported as part of the performance measurement process, and any data that is tracked by the agency that is not protected data. The Chief Technology Officer shall designate a Chief Data Officer (“CDO”) for the District of Columbia to coordinate implementation, compliance and expansion of the District’s Open Data Program, to facilitate the sharing of information between departments and agencies, and to coordinate initiatives to improve decision making and management through data analysis. The Chief improve decision making and management through data analysis. The Chief Data Officer shall report to the Chief Technology Officer. E. Function as a data ombudsman for the public, fielding public feedback and ensuring the policy is included into a long-term data strategy. c. District of Columbia Open Data Catalog. A single web portal, or integrated set of websites, shall be established and maintained by or on behalf of the District of Columbia. The Chief Data maintained by or on behalf of the District of Columbia. The Chief Data Officer, in collaboration with OCTO, may build upon previous open data initiatives, or may establish a new portal for managing and delivering open data benefits to constituents. Any dataset made accessible on the District of Columbia Data Catalog shall use an open format that permits automated processing of such data in a form that can be retrieved via an open application programming interface (API), downloaded, indexed, searched and reused by commonly used web search applications and software; (ii) use appropriate technology to notify the public of updates to the data; and (iii) be accessible to external search capabilities. OCTO shall (i) post on the portal a list of all datasets available on such portal; and (ii) establish and maintain on the portal an online forum to solicit feedback from the public and to encourage public discussion on open data policies and dataset availability. d. Open Data Legal Policy. The District shall reserve the right to discontinue availability of content on the District of Columbia Data Catalog at any time and for any reason. If a dataset is made accessible by an agency on the District of Columbia Data Catalog and such agency is notified or otherwise learns that any dataset or portion thereof posted on the Data Catalog is factually inaccurate or misleading or is protected data, the agency shall, as appropriate, promptly correct or remove, or cause to be corrected or removed, such data from the Data Catalog and shall so inform the Chief Data Officer. Nothing in this Order shall be construed to create a private right of action to enforce any provision of this Order. Failure to comply with any provision of this Order shall not result in any liability to the District, including, but not limited to, OCTO or any agency or third party that establishes or maintains on behalf of the District the Open Data Services Portal required under this Order. Section 4. Open Government Advisory Group. a. The Mayor shall convene an Open Government Advisory Group to be chaired and convened by the Mayor’s designee, CDO, and the Director of the Office of Open Government within the Board of Ethics and Government Accountability. Assist the Mayor and CDO in creating policy establishing specific criteria for agency identification of protected data in accordance with FOIA, maintenance of existing data, and the creation of data in open formats. c. The CDO shall publish the evaluation and recommendations on the Open Government Web Portal or create an Open Government Dashboard that will provide the public with both graphic and narrative evaluation information. There is a strong American tradition — or at least a core American value — that the government does not get in the way of the dissemination of ideas. We don’t always live up to that ideal, but we strive for it. Access to information about the government that comes with restrictions on what we can say when we use it (e.g. attribution & explanation), a waiver of rights or a commitment to indemnify, etc. are all an anathema to accountability and transparency and respect for the public. The DC open gov directive is modeled after the T/P/C definition of #opengov from Obama’s 2009 directive. Meh. “Collaboration” was a #fail.
.@mayorvincegray‘s DC #opengov directive also f’ed up “open licensing.” Am kind of pissed at @WhiteHouseOSTP for starting this confusion. When the new DC data catalog terms go up, I will encourage folks to FOIA for the same data to avoid agreeing to gov’s terms. Imagine if records made available under FOIA came with an EULA. No thanks! Last year, I conducted an in-depth interview with United States chief information officer Steven VanRoekel in his office in the Eisenhower Executive Office Building, overlooking the White House. I was there to talk about the historic open data executive order that President Obama had signed in May 2013. 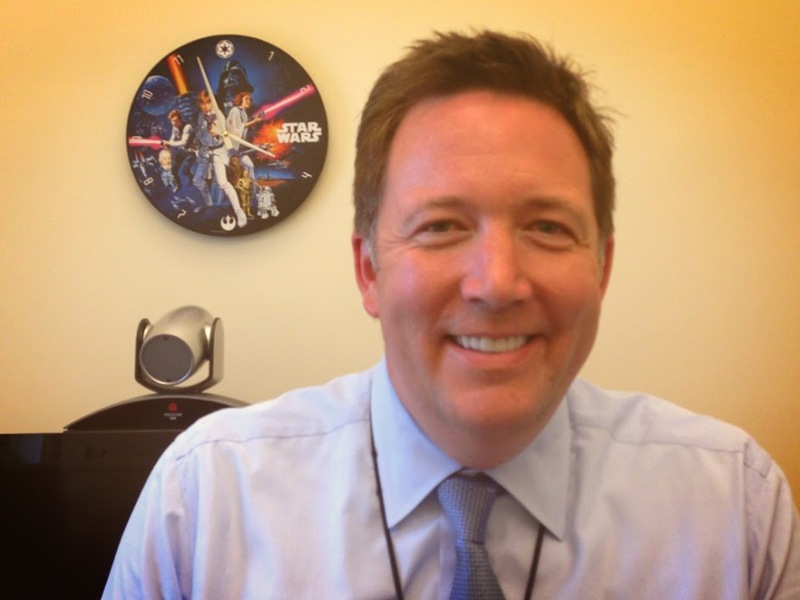 On this visit, I couldn’t help but notice that VanRoekel has a Star Wars clock in his office. The Force is strong here. The US CIO also had a lot of other consumer technology around his workspace: a MacBook and Windows laptop and dock, dual monitors, iPad, a teleconferencing system integrated with a desktop PC, and an iPhone, which recently became securely permissible on in the White House IT system in a “bring your own device” pilot. The interview that follows is slightly dated, in certain respects, but still offers significant insight into how the nation’s top IT executive is thinking about digital government, open data and more. It has also been lightly edited, primarily removing the long-winded questions of the interviewer. We’re at the one year mark of the Digital Government Strategy. 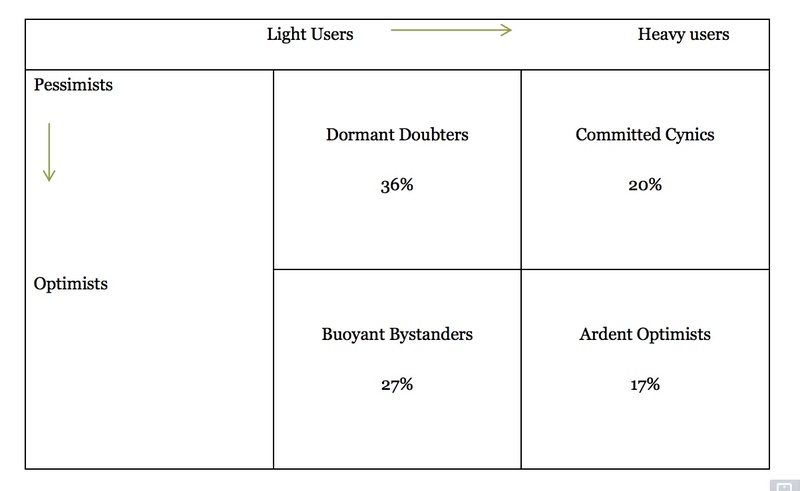 Where do we stand with hitting the metrics in the strategy? Why did it take until now to get this out? VanRoekel: The strategy calls for the launch of the policy itself. Throughout the year, the policy was a framework for a 12 month set of deliverables of different aspects, from the work we’re doing in mobile, from ‘bring your own device,’ to security baselines and mobile device management platforms. Not only streamlining procurement, streamlining app development in government. Managing those devices securely to thinking about the way we do customer service and the way we think about the power of data and how it plays into all of this. It’s been part of that process for about the year we’ve been working on it. Of course, we thought through these principles and have been working on data-related aspects for longer. The digital strategy policy was the framework for us to catalyze and accelerate that, and over the course of the year, the stuff that’s been going on behind the scenes has largely been working with agencies on building some of this capability around open data. You’re going to see some things happening very soon on the release of some of this capability. Second, standing up the Presidential Innovation Fellows program and then putting specific ‘PIFs’ into certain targeted agencies to fast track their opening of data — that’s going to extend into Wave Two. You’re going to see that continuing to happen, where we just take these principles and just kind of ‘rinse and repeat’ in government. Third, we’re working with a small set of the community to build tools to make it easy for agencies to implement these guidelines. So if there’s an agency that doesn’t know how to create a JSON file, that tool is on Github. You can see that on Project Open Data . How involved has the president been in this executive order? It’s his name, his words are in there — how much have you and U.S. chief technology officer Todd Park talked with the president about this? VanRoekel: Ever since about last summer, we’ve been talking to the president about open data, specifically. I think there’s lots of examples where we’ve had conversations on the periphery, and he’s met with a lot of tech leaders and others around the country that in many, many cases have either built their business or are relying upon some government service or data stream. We’re seeing that culminating into the mindset of what we do as a factor of economic growth. His thoughts are ‘how do we unlock this national resource?’ We’re sitting on this treasure trove – how do we unleash it into the developer community, so that these app developers can build these different solutions?’ He’s definitely inspired – he wrote that cover memo to the digital strategy last May – and then we’ve had all of these different meetings, across the course of the year, and now it culminates into this executive order, where we’re working to catalyze these agencies and get them to pay attention and follow up. We’ve been down this road before, in some respects, with the Open Government Directive in 2009, with former US CIO Vivek Kundra putting forward claims of positive outcomes from releasing data. Yet, what have we learned over the past four years? What makes this different? Where’s the “how,” in terms of implementing this? VanRoekel: The original launch of data.gov was, I think, a way of really shocking the system, and getting people to pay attention to and notice that there was an important resource we’re sitting on called data. Prior to data.gov, and prior to the work of this administration, the daily approach to data was very ad hoc. It wasn’t taken as data, it was just an output or a piece of a broader mix. That’s why you get so much disparity in the approach to the way we manage data. You get the paper-driven processes that are still very prevalent, where someone will send a paper document, and someone will sign it, and scan it, feed it into a system, and then eventually print it and mail it. It’s crazy what you end up seeing and experiencing inside of government in terms of how these things work. Data.gov was an important first step. The difference now is really around taking this approach to everything that we do. The work that we did with the Open Government Directive back in 2009 was really about taking some high value data sets and putting them up on Data.gov. What you ended up seeing was kind of a ‘bulk upload, bulk download,’ kind of access to the data. Machine-readability and programmability wasn’t taken into account, or the searchability and findability. Did entrepreneurs or advocates validate these data sets as “high value?” Entrepreneurs have kept buying data from government over the past four years or making Freedom of Information Act requests for data from government or scraping data. They’re not getting that from Data.gov. VanRoekel: I have no official way of measuring the ‘value’ of the data, other than anecdotal conversations. I do think that the motion of getting people to wake up and think about how they are treating data internally within in an organization – well, there was a convenience factor to that, which basically was that ‘I got to pick what data I release,’ which probably dates from ‘what data I have that’s releasable?’ The different tiers to this executive order and this policy are a huge part of why it’s different. It sets the new default. It basically says, if you are modernizing a system or creating a new system, you can do that in a way that adopts these principles. If you [undertake] the collection, use and dissemination of data, you’ll make those machine-readable and interoperable by default. That doesn’t always mean public, because there are applications that privacy and national security mean we should make public, but those principles still hold, in terms of the way I believe we the ways we build things should evolve on this foundation. For the community that’s getting value outside of the government, this really sets a predictable, consistent course for the government to open up data. Any business decisions are risk-based decisions. You have to assume some level of risk with anything you do. If there’s too much risk, entrepreneurs won’t do it. VanRoekel: True. To that end, the work we’ve done in this policy that’s different than before is the way we’re collecting information about the data is being standardized. We’re creating a meta data infrastructure. Data itself doesn’t have to be all described in the same way. We’re not coming up with “one schema to rule them all” across government. The complexity of that would be insurmountable. I don’t think that’s a 21st century approach. That’s probably a last century thinking around to say that if we get one schema, we’re going to get it all done. The meta data approach is to say let’s collect a standard template way of describing – but flexible for future extension – the data that is contained in government. In that description, and in that meta data, tags like “who owns this data” and “how often is the data updated,” information about how to get a hold of people to find out more about descriptions within the data. They will be a part of that description in a way that gives you some level of assurance on how the data is managed. Much of the data we have out there, there’s existing laws on the books to collect the data. Most of it, there’s existing laws, not just a business process. One of the great conversations we’re having with the agencies is that they find greater efficiency in the way they collect data and build solutions based upon these open data principles. I received a question from David Robinson, regarding open licensing in this policy. Isn’t U.S. government data exempt from copyright? VanRoekel: Not all government data is exempt from copyright, but those are generally edge cases. The Smithsonian takes pictures of things that are still under copyright, for instance. 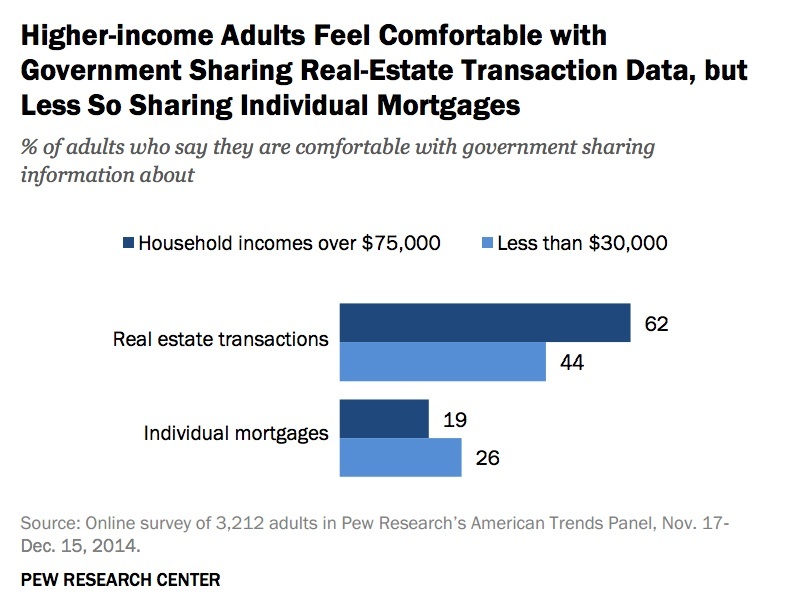 That’s government data. I sent a note about this announcement to the Secretary of the Smithsonian this morning. I’ve been talking to him about opening up data for some time. The nuance there, about open licenses, is really around the types of systems that create the data, and putting a preference for a non-proprietary format. You can imagine a world in which I give you an XML file, and I give you a Microsoft Excel file. Those are both piece of data. To some extent, the Excel format is machine-readable. You can open it up and look at it internally just the way it is, but do you have to go buy a special piece of software to read the file or not? That kind of denotes the open[ness] and accessibility of the data. In the case of policy, we declare a strong preference towards these non-proprietary formats, so that not only do you get machine-readability but you get the broadest access to the data. It’s less about the content in there – is that’s copyrighted or not — I think most data in government, outside of the realm of confidential or private data, is not copyrighted, so to speak from the standpoint of the license. It’s more about the format, and if there’s a proprietary standard wrapped in the stuff. We have an obligation as a government to pick formats, pick solutions, et cetera that not only have the broadest applicability and accessibility for the public but also create the most opportunity in the broadest sense. Open data doesn’t come without costs. Is this open data policy an unfunded mandate on all of the agencies, instructing them to put all of the data online they can, to digitize content? VanRoekel: In the broadest sense, the phrase ‘the new default’ is an important one. It basically says, for enhancements to existing systems or new systems, follow this guideline. If people are making changes, this is in the list of requirements. From a costing perspective, it’s pre-baked into the cost of any enhancement or release. That’s the broad statement. The narrow statement is that there are many agencies out there, increasing every day, that are embracing these retroactive open data approaches, saying that there is value to the outside world, there is lower cost, greater interoperability, there are solutions that can be derived from taking these open data approaches inside of my own organization. That’s what we saw in PIF [Presidential Innovation Fellows] round one, where these agencies adopted the innovations fellows to unlock their data. That’s increasing and expanding in round two, and continuing in the agencies which we thought were high administration priorities, along with others. I think we’re going to continue to see this as a catalyzing element of that phenomenon, where people are going to back and spend the resources on doing this. Just invite any of these leaders to the last twenty minutes of a hackathon, where folks are standing up and showing their solutions that they developed in one day, based on the principles of open data and APIs. They just are overwhelmed about the potential within their own organizations, and they run back and want to do this as fast as they can. Are you using anything that has ever been developed at a hackathon, personally or professionally? VanRoekel: We are incorporating code from the “We The People” hackathon, the most recent one. I know Macon Phillips and team are looking at incorporating feature sets they got out of that. An important part of the hackathon, like most conferences you go to, is the time between the sessions. They’re the most important – the relationship building aspect, figuring out how we shape the next set of capabilities or APIs or other things you want to build. How does this relate to the way that the federal government uses open data internally? VanRoekel: There are so many examples of government agencies, when faced with a technical problem, will go hire a single monolithic vendor to do a single, monolithic solution – and spend most of the budget on the planning cycle – and you end up with these multi-million dollar, 3-ring binders that ultimately fail because technology has moved on or people have left or laws have moved on five or ten years later, after they started these projects. One of the key components of this is laying foundational stones down to say how are we going to build upon that, to create the apps and solutions of the future. You know, I can swoop in and say “here’s how to do modular contracting in the context of government acquisition” – but unless you say, you’ve got to adopt open data and these principles of API-first, of doing things a different way — smaller, reusable, interoperable pieces – you can really build the phenomenon. These are all elements of that – and the cost savings aspect of it are extraordinary. The risk profile is going to be a lot smaller. Inside government I’m as excited about as outside. Do you think the federal government will ever be able to move from big data centers and complicated enterprise software to a lightweight, distributed model for mobile services built on APIs? VanRoekel: I think there is massive potential for things like that across the whole of government. I mean, we’re a big organization. We’re the largest buyer of technology in the world. We have unending opportunities to do things in a more efficient way. I’ve been running this process that I launched last year called Portfolio Stat. It’s all about taking a left to right look, sitting down with agencies. What I’ve always been missing from those is some of these groundbreaking policies that start to paint the picture for what the ideal is, and how to get your job done in a way that’s different than the way you’ve don’t it before, like the notion of continuous improvement. We’ve needed things like the EO to give us those conversation starters to say, here’s the way to do it, see what they are doing over at HHS. “How are you going to bring that kind of discipline into your organization?” I’m sitting down with every deputy secretary and all the C-level executives to have those tough conversations. Fruitful, but good conversations about how we are going to change the way we deliver solutions inside of government. The ideal state that they’ll all hear about is the service-oriented model with centralized, commodity computing that’s mostly cloud-based. Then, how do you provide services out to the periphery of your organization. You told me in our last interview that you had statutory authority to make things happen. What happens if a federal CIO drags his or her feet and, a year from now, you’re still here and they’re not moving on these policies, from cloud to open data? VanRoekel: The answer I gave to you last time still holds: it’s about inspire and push. Inspire comes in many factors. One is me coming in and showing them the art of the possible, saying there’s a better way of doing this, getting their customers to show up at the door to say that we want better capabilities and get them inspired to do things, getting their leadership to show up and say we want better things. Push is about budget – how do you manage their budget. There’s aspects of both inspire and push in the way we’ve managed the budget this year. I have the authority to do that. What’s your best case for adopting an open data strategy and enterprise data inventory, if you’re trying to inspire? VanRoekel: The bottom line is meet your mission faster and at a much lower cost. Our job is not about technology as an end state – it’s about our mission. We’ve got to get the mission of government done. You’re fostering immigration, you’re protecting public safety, you’re providing better energy guidance, you’re shaping an industry for the country. Open data is a fundamental building block of providing flexibility and reusability into the workplace. It’s what you do to get you to the end state of your mission. I hearken back a lot to the examples we used at the FCC, which was moving from like fourteen websites to one and how we managed that. How do we take workload of a place so that the effort pays for itself in six months and start yielding benefits beyond that? The benefits are long-term. When you build that next enhancement, or that new thing on top of it, you can realize the benefits at lower cost. It’s amazing. I do these TechStat processes, where I sit down with the agencies. They have some project that’s going off the rails. They need help, focus, and some executive oversight. I sit down, usually in a big room of people, and it’s almost gotten to the point where you don’t need to look at the briefing documents ahead of time. You sit down and say, I bet you’re doing it this way – and it’s monolithic, proprietary, probably taking a lot of packaged software and writing a lot of glue code to hold it all together – and you then propose to them the principles of open data and open approaches to doing the solution, and tell them I want to see in the next sixty days some customer-facing, benefit value that’s built on this model. They go off and do that, and they get right back on the tracks and they succeed. Time after time when we do TechStat, that’s the formula and it’s yielded these incredible results. That culture is starting to permeate into how we get stuff done, because they see how it might accomplish their mission if they just turn 45 degrees and try a different approach. If that makes them successful, they will go there every time. Critiques of open data raise concerns about “discretionary disclosure,” where a government entity releases what it wants, claim credit for embracing open government, and obfuscates the rest of the data. Does this policy change any of the decisions that are being made to delay, redact or not release requested data? VanRoekel: I think today marks an inflection point that will set a course for the future. It’s not that tomorrow or next month or next year that all government data will just be transformed into open, machine-readable form. It will happen over time. The key here is that we’ve created mechanisms to protect privacy and security of data but built in culture where that which is intended to be public should be made public. Part of what is described in the executive order is the formation of this cross-agency executive group that will define a cross-agency priority goal, that we need to get inventories in from agencies regarding that which they hold that could be made public. We want to know stuff that’s not public today, what could be out there. We’re going to take that in and look at how we can set goals for this year, the next year and the year after that to continue to open up data at a faster pace than we’ve been doing in the past. The modernization act and some of the work around setting goals in government is much more compatible and looks a lot like the private sector. We’re embracing these notions that I’ve really grown to love and respect over the course of my private sector career in government around methodologies. Stay tuned on the capital and what that looks like. Are you all going to work with the House and Senate on the DATA Act or are statutory issues on oversight still a stumbling block? VanRoekel: The spirit of the DATA Act, of transparency and openness, are the things we’re doing, and I think are embraced. Some of the tactical aspects of the act were a little off the mark, in terms of getting to the end state that we want to get to. If you look at the FY-14 budget and the work we’ve done on transferring USASpending.gov to Treasury to get it closer to the source of the data, plus a view into how those systems get modernized, how we bring these principles into that mix, that will all be a part of the end state, which is how we track the spending. Do you ever anticipate the data going into FOIA.gov also going into Data.gov? VanRoekel: I don’t know. I can’t speculate on that. I’m not close enough to it. Well, FOIA requests show demand. Do you have any sense of what people are paying for now, in terms of government data? Has anybody ever asked, to try to figure that out? VanRoekel: I think that would be a great thing for you to do. I appreciate that, but this strikes me as an interesting assessment that you could be doing, in terms of measuring outflows for business intelligence. If someone buys data, it shows that there is value in it. What would it mean if releases reflected that signal? VanRoekel: You mean preference data that is being purchased? VanRoekel: Well, part of this will be building and looking at Data.gov. Some of the stuff coming there is really building community around the data. The number one question Todd Park and I had coming out of the PIF program, at the end of May  was, what if I think there’s data, but I don’t know, who do I contact? An important part of the delivery of this wave and the product coming out as part of this policy is going to be this enhanced Data.gov, that’s our intention to build a much richer community around government data. We want to hear from people. If there are data sources that do hold promise and value, let’s hear about those and see if there are things we can do to get a PIF on structuring it, and get agencies to modernize systems to get it released and open. I know some of the costs are like administrative feeds for printing or finding the data, something that’s related to third parties collecting it and then reselling it. We want to make sure that we’re thoughtful in how we approach that. How has the experience that you’ve seen everyone have with the first iteration of Data.gov informed the nation’s open data strategy today? What specifically had not been done before that you will be doing now? VanRoekel: The first Data.gov set us on a cultural path.What it didn’t do was connect you to data the source. What is this data? How often is it updated? Findability and searchability of broad government data wasn’t there. Programmability of the data wasn’t necessarily there. Data.gov, in the future, instead of being a repository for data, a place to upload the data, my intention is that it will become a meta data catalog. It will be the place you go, the one-stop-shop, to find government data, across multiple aspects. The way we’re doing this is through the policy itself, which says that agencies have to go and set up this new page, similar to what is now standard in open government, /open, /developer. In that page, the most important part of that page is a JSON file. That’s what data.gov can go out and crawl, or any developer outside can go out and crawl, to find out when data has been updated, what data is available, in what format. All of the standard meta data that I’ve described earlier will be represented through that JSON file. Data.gov will then become a meta data catalog of all the open data out in government at its source. As a developer, you’d come in, and it you wanted to do a map, for instance, to see what broadband capabilities exist near low-income Americans and then overlay locations of educational institutions, if you wanted to look for a correlation between income and broadband deployment and education, you’d hypothetically be looking for 3 different data sources, from 3 different agencies. You’d be able to find the open data streams, the APIs, to go get that data in one place, and then you’d have a connection back to the mothership to be able to grab it, find out who owns it. We want to still have a center of gravity for data, but make the data itself follow these principles, in terms of discoverability and use. The thing that probably got me most pointed in this direction is the President’s Council of Advisors on Science and Technology (PCAST), which did a report on health IT. Buried on page 60 or something, it had this description of meta data as the linchpin of discoverability of diverse data sources. That’s the approach we’ve taken, much like Google. 5 years from now, what will have changed because of this effort? VanRoekel: The way we build solutions inside of government is going to change, and the amount of apps and solutions outside of government are going to fundamentally change. You and I now, sitting in our cars, take for granted the GPS signal going to the device on the dash. I think about government. Government is right there with me, every single day, as I’m driving my car, or when I do a Foursquare check-in on my phone. We’ll be bringing government data to citizens where they are, versus making people come to government. It’s been a long time since the mid-80s, when we opened up GPS, but look at where we are today. I think we’ll look back in 10 or 15 years and think about all of the potential we unlocked today. What data could be like GPS, in terms of their impact on our lives? VanRoekel: I think health and energy are probably two big ones. Since we talked, the Obama administration has followed through on some of the commitments the U.S. CIO described, including relaunching Data.gov and releasing more data. Other goals, like every agency releasing an enterprise data inventory or publishing a /data and /developer page online, have seen mixed compliance, as an audit by the Sunlight Foundation showed in December. The federal government shutdown last fall also scuttled open data access, where certain data types were deemed essential to maintain and others were not. The shutdown also suggested that an “API-first” strategy for open data might be problematic. OMB, where VanRoekel works, has also quietly called for major changes in the DATA Act, which passed the House of Representatives with overwhelming support at the end of last year. A marked up version of the DATA Act obtained by Federal News Radio removes funding for the legislation and language that would require standardized data elements for reporting federal government spending. The news was not received well on Capitol Hill. Sen. Mark Warner, D-Va., the lead sponsor of the DATA Act in the Senate, reaffirmed his commitment to the current version of the bill in statement: “The Obama administration talks a lot about transparency, but these comments reflect a clear attempt to gut the DATA Act. DATA reflects years of bipartisan, bicameral work, and to propose substantial, unproductive changes this late in the game is unacceptable. We look forward to passing the DATA Act, which had near universal support in its House passage and passed unanimously out of its Senate committee. I will not back down from a bill that holds the government accountable and provides taxpayers the transparency they deserve.” The leaked markup has led to observers wondering whether the White House wants to scuttle the DATA Act and others to potentially withdraw support. 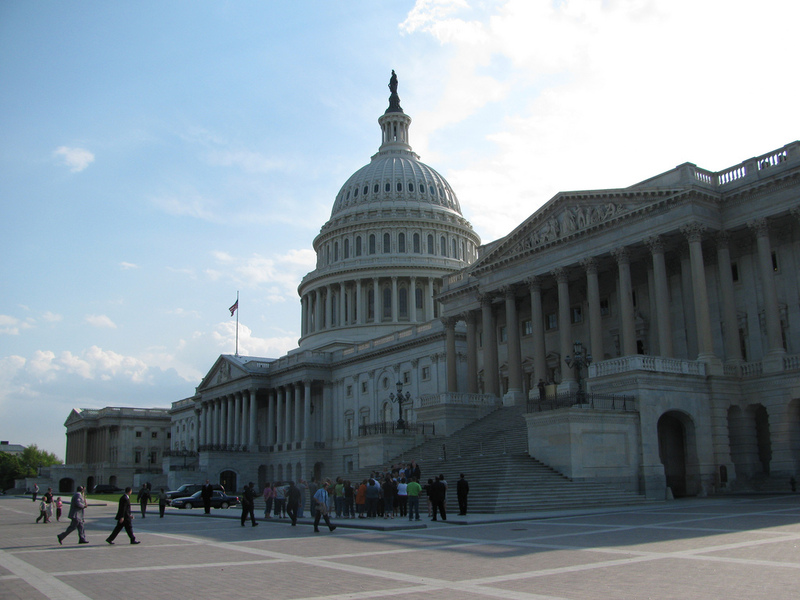 “OMB’s version of the DATA Act is not a bill that the Sunlight Foundation can support,” wrote Matt Rumsey, a policy analyst at the Sunlight Foundation. “If OMB’s suggestions are ultimately added to the legislation, we will join our friends at the Data Transparency Coalition and withdraw our support of the DATA Act.” In response to repeated questions about the leaked draft, the OMB press office has sent the same statement to multiple media outlets: “The Administration believes data transparency is a critical element to good government, and we share the goal of advancing transparency and accountability of Federal spending. We will continue to work with Congress and other stakeholders to identify the most effective & efficient use of taxpayer dollars to accomplish this goal.” I have asked the Office of Management and Budget (OMB) about all of these issues and will publish any reply I receive separately, with a link from this post. One of the most important open government data efforts in United States history came into being in 1993, when citizen archivist Carl Malamud used a small planning grant from the National Science Foundation to license data from the Securities and Exchange Commission, published the SEC data on the Internet and then operated it for two years. At the end of the grant, the SEC decided to make the EDGAR data available itself — albeit not without some significant prodding — and has continued to do so ever since. You can read the history behind putting periodic reports of public corporations online at Malamud’s website, public.resource.org. Two decades later, Malamud is working to make the law public, reform copyright, and free up government data again, buying, processing and publishing millions of public tax filings from nonprofits to the Internal Revenue Service. He has made the bulk data from these efforts available to the public and anyone else who wants to use it. November Form 990s now ready. http://t.co/HDoMzPjpY0 We have 7,335,804 Form 990s available. *STILL* no word from the IRS. As Sam Roudman reported at TechPresident, Luke Rosiak, a senior watchdog reporter for the Washington Examiner, took the files Malamud published and made them more useful. Specifically, he used credits for processing that Amazon donated to participants in the 2013 National Day of Civic Hacking to make the .TIFF files text-searchable. Rosiak then set up CItizenAudit.org a new website that makes nonprofit transparency easy. Malamud estimates nearly 9% of jobs in the U.S. are in this sector. “This is an issue of capital allocation and market efficiency,” he said. “Who are the most efficient players? This is more than a CEO making too much money — it’s about ensuring that investments in nonprofits get a return. Malamud’s open data is acting as a platform for innovation, much as legislation.gov.uk is the United Kingdom. The difference is that it’s the effort of a citizen that’s providing the open data, not the agency: Form 990 data is not on Data.gov. Opening Form 990 data should be a no-brainer for an Obama administration that has taken historic steps to open government data. Liberating nonprofit sector data would provide useful transparency into a $1.6 trillion dollar sector for the U.S. economy. After many letters to the White House and discussions with the IRS, however, Malamud filed suit against the IRS to release Form 990 data online this summer. information dissemination service in this century, hence my request for your review. transparency and effectiveness of our non-proﬁt marketplace and is required by law. 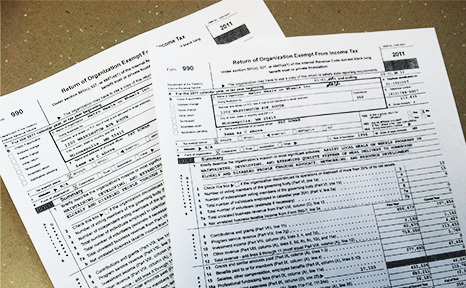 The furor last summer over the IRS investigating the status of conservative groups claimed tax-exempt status, however, could carry over into political pressure to reform. If political groups were tax-exempt and nonprofit e-file data were published about them, it would be possible for auditors, journalists and Congressional investigators to detect patterns. The IRS would need to be careful about scrubbing the data of personal information: last year, the IRS mistakenly exposed thousands of Social Security numbers when it posted 527 forms online — an issue that Malamud, as it turns out, discovered in an audit. If the IRS were to modernize its audit system, inspector generals could use automated predictive data analysis to find aberrations to flag for a human to examine, enabling government watchdogs and investigative journalists to potentially detect similar issues much earlier. That level of data-driven transparency remains in the future. In the meantime, CitizenAudit.org is currently running on a server in Rosiak’s apartment. Whether the IRS adopts it as the SEC did EDGAR remains to be seen. 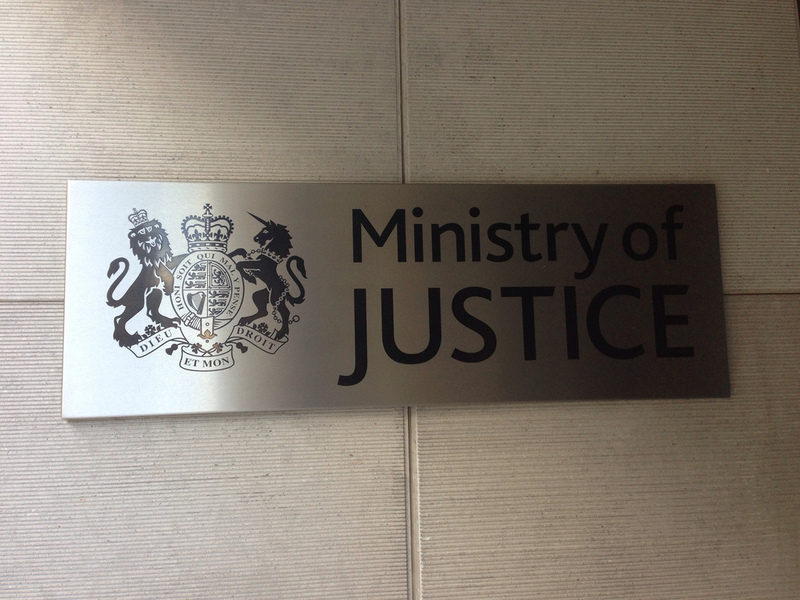 This September, I visited the United Kingdom’s Ministry of Justice and looked at the last remaining section of the Magna Carta that remains in effect. I was not, however, in a climate-controlled reading room, looking at a parchment or sheepskin. NO Freeman shall be taken or imprisoned, or be disseised of his Freehold, or Liberties, or free Customs, or be outlawed, or exiled, or any other wise destroyed; nor will We not pass upon him, nor [X1condemn him,] but by lawful judgment of his Peers, or by the Law of the Land. We will sell to no man, we will not deny or defer to any man either Justice or Right. From due process to eminent domain to a right to a jury trial, many of the rights that American or British citizens take as a given today have their basis in the English common law that stems from this document. I’d first met Sheridan virtually, back in August 2010, when I talked with the head of e-services and strategy at the United Kingdom’s National Archives about how linked data was opening up eight hundred years of legal history. That month, the National Archives launched legislation.gov.uk to provide public access to more than eight centuries of the legal history in England, Scotland, Wales and Northern Ireland. Just over three years later, I stepped off the Tube at the St. James Park Station and walked over to meet him in person and learn how his aspirations for legislation.gov.uk had met up with reality. Over a cup of tea, Sheridan caught me up on the progress that his team has made in digitizing documents and improving the laws of the land. There are now 2 million monthly unique visitors to legislation.gov.uk every month, with 500+ million page views annually. People really are reading Parliament’s output, he observed, and increasingly doing so on tablets and mobile devices. The amount of content flowing into the site is considerable: according to Sheridan, the United Kingdom is passing laws at an estimated rate of 100,000 words every month, or twice as much as the complete works of Shakespeare. Notable improvements over the years include the ability to compare the original text of legislation versus the latest version (as we did with the Magna Carta) and view a timeline of changes using a slider for navigation, exploring any given moment in time. Sheridan was particularly proud of the site’s rendering of legislation in HTML, include human-readable permanent uniform resource locators (URLS) and the capacity to produce on-demand PDFs of a given document. (This isn’t universally true: I found some orders appear still as PDFs). More specifically, Sheridan highlighted a “good law” project, wherein the Office of the Parliamentary Counsel (OPC) of Britain is working to help develop plain language laws that are “necessary, clear, coherent, effective and accessible.” A notable component of this good law project is an effort to apply a tool used in online publishing, software development and advertising — A/B testing — to testing different versions of legislation for usability. Sheridan went on to describe one of the more ambitious online collaborations between a government and its citizens I had heard of to date, a novel cross-Atlantic challenge co-sponsored by the UK and US governments, and a hairy legal technology challenge bearing down upon societies everywhere: what happens when software interprets the law? The legislation.gov.uk API has changed everything for us. It powers our website. It has enabled us to move to an open data business model, securing the editorial effort we need from the private sector for this important source of public data. It allows us to deliver information and services across channels and platforms through third party applications. We are developing other tools that use the API, using Linked Data – from recording the provenance of new legislation as it is converted from one format to another, to a suite of web based editorial tools for legislation, including a natural language processing capability that automatically identifies the legislative effects. Everything we do is underpinned by the API and Linked Data. With the foundations in place, the possibilities of what can be done with legislation data are now almost limitless. Sheridan noted to me that the United Kingdom’s legislative open government data efforts are now acting as a platform for large commercial legal publishers and new entrants, like mobile legislative app, iLegal. 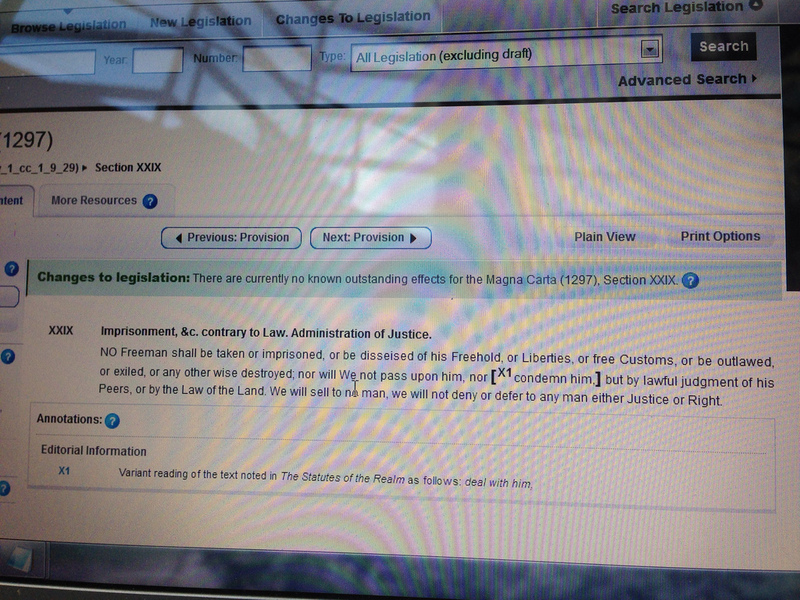 The iLegal app content is derived from the legislation.gov.uk API and offers handy features, like offline access to all items of legislation. 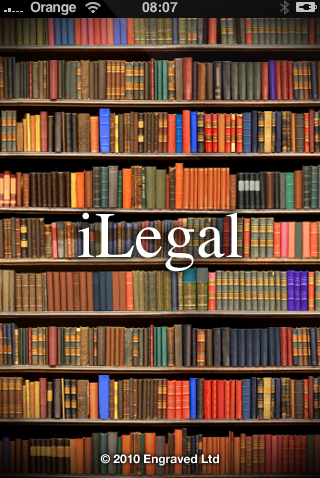 iLegal currently costs £49.99/$74.99 annually or £149.99/$219.99 for a lifetime subscription, which might seem steep but is a fraction of the cost of of Halsbury’s Statutes, currently listed at £9,360.00 from Lexis-Nexis. What’s notable about the United Kingdom’s example, however, is that less then a decade ago, none of this could have been possible. Why? As ScraperWiki founder Francis Irving explained, the UK’s database of laws was proprietary data until December 2006. Now, however, the law of the land is released back to the people as it is updated, a living code available in digital form to any member of the public that wishes to read or reuse it. The United Kingdom, however, has moved beyond simply publishing legislation as open data: they’re actively soliciting civic participation in its maintenance and improvement. For the last year, the National Archives has been guiding the world’s leading commercial open data curation project. In other words, the open government data always remains free to the people through legislation.gov.uk but any academic, nonprofit or commercial entity can act to add value to it and sell access to the resulting applications, analyses or interfaces. As far as Sheridan could recall, this was the only such example in the government of the United Kingdom where such a feedback loop exist. The closest parallels in the United States is the U.S. Agency for International Development crowdsourcing geocoding 117,000 loan records with the help of online volunteers [Case Study] or the citizen archivist program of the U.S. National Archives. Sheridan said that the next step is feedback for other editorial values. If this continues to work, distributed online collaboration is a “brilliant way to help improve the quality of law,” said Sheridan. In September, Sheridan also told me about an unusual challenge that has just gone live at Challenge.gov, the United States’ flagship prizes and competitions platform: a contest to assess the compatibility of Akoma Ntoso with U.S. Congress and U.K. Parliament markup languages. The U.K. National Archives and U.S. Library of Congress have asked for help mapping elements from bills to the most recent Akoma Ntoso schema. (Akoma Ntoso is an emerging global standard for machine-readable data describing parliamentary, legislative and judiciary documents.) The best algorithm that maps U.S. bill XML or UK bill XML to Akoma Ntoso XML, including necessary data files and supporting documentation, will win $10,000. 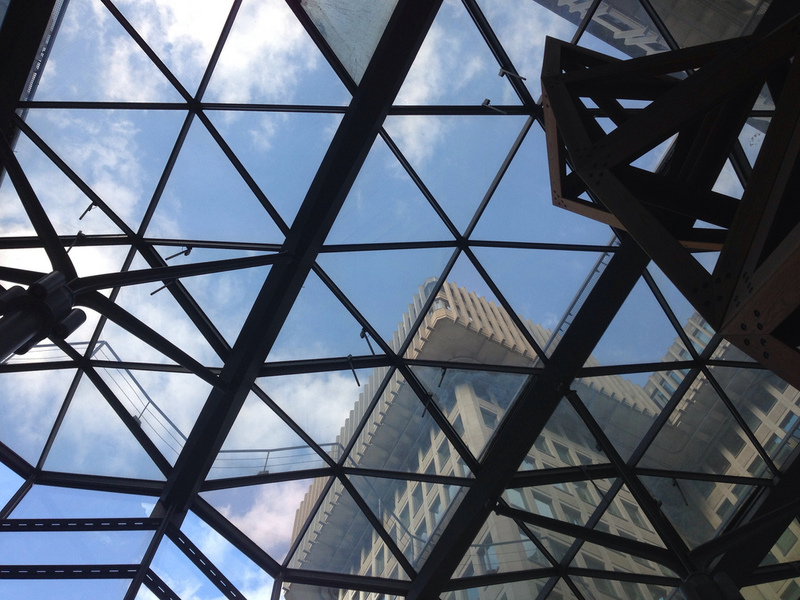 If you have both skills and interest, get cracking: the challenge closes on December 31, 2013. Three years on, Republicans in Congress continue to follow through on promises to embrace innovation and transparency in the legislative process. 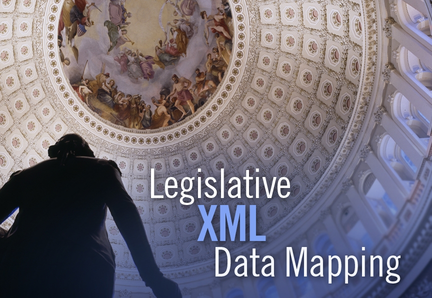 Today, the United States House of Representatives has made the United States Code available in bulk Extensible Markup Language (XML). House Democratic leaders praised the House of Representatives Office of the Law Revision Counsel (OLRC) for the release of the U.S. Code in XML, demonstrating strong bipartisan support for such measures. “OLRC has taken an important step towards making our federal laws more open and transparent,” said Whip Steny H. Hoyer, in a statement. 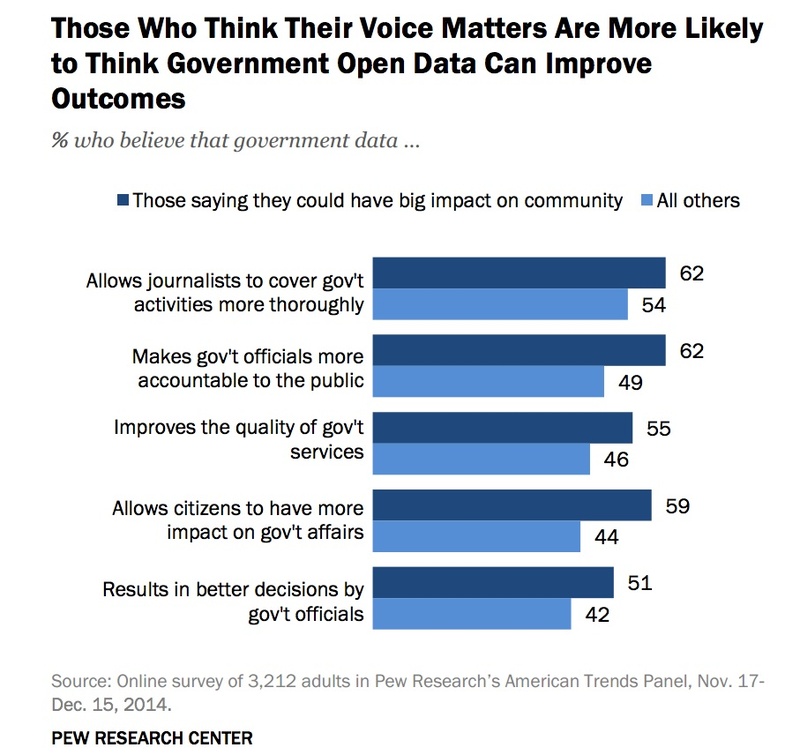 The reaction from open government advocates was strongly positive. The data has already been ingested into open government websites. Jim Harper, Director of Information Policy Studies at the Cato Institute, similarly applauded the release. Harper also contrasted the open government efforts of the Obama administration, which has focused more upon the release of open government data relevant to services, with that of the House of Representatives. While the executive and legislative branches are by definition apples and oranges, the comparison has value. “Last year, we reported that House Republicans had the transparency edge on Senate Democrats and the Obama administration,” he said. “(House Democrats support the Republican leadership’s efforts.) The release of the U.S. Code in XML joins projects like docs.house.gov and beta.congress.gov in producing actual forward motion on transparency in Congress’s deliberations, management, and results. This article has been updated with additional statements over time.